Horley Online Job Vacancies. It's free to post your job vacancies. Click here to place your job ad for free. Full-time MARKETING & COMMUNICATIONS MANAGER position available. £21,000 pa. Friendly and relaxed working environment based in Springfit Head Office in Horley. A rewarding, community-based opportunity, in a varied and exciting progressive role. Flexible hours and some travel to venues and weekend events required. Do you have an approachable, friendly and can-do attitude, preferably with graphic design skills, copywriting experience and social media knowledge? Good computer and time management skills with website, SEO and analytics understanding? Would you like a really rewarding career? Bransfield Manor Children’s Residential Home are opening a new 5-10 bed Children’s Residential Home in Godstone, Surrey for ages 7-17 years with Emotional and Behavioral Difficulties (EBD) and are looking to recruit Enthusiastic, motivated Team Leaders to support the Registered Manager. Suitable candidates will need to have experience of working with challenging behavior and hold a NVQ Level 3 In Young people workforce. whilst experience is highly valued we are also keen to interview staff with limited experience but with good aptitude. Residential staff need to be flexible and able to work hours. Part-Time Book-Keeper required by local Removal Company. Please call 01737 764474 to discuss. Local hotel in Horley requires a night supervisor to run the hotel overnight. • 4 on 4 off shift pattern. • Driving guests to Gatwick in a 9 seater minibus. Casual van driver/ porter required for local removal company. We are looking for level 3 qualified staff to join our exciting team, you must be full of energy, enthusiasm and have lots of motivation to play with children all day! If you think that’s you call today to arrange an interview. 01293 565544.
to commence in September 2019.Salary negotiable TMPS / UPS plus option for TLR for Maths leadership. To apply for this job, please contact the school office to request an application form. Click here to see more about the schools in the Horley and Gatwick area. Proficient Senior Book Keeper/Accountant required to join our Accountancy Practice in Salfords. Our business is predominately small Limited Companies, sole traders & partnerships. We have a large payroll client base and carry out book keeping/VAT services for a large number of our clients. Our role also includes CIS Returns. You will be able to prepare VAT Returns. Sole Trader/Partnership Accounts and Limited Company Accounts to trial balance. Knowledge of CIS & Payroll will also be required and you must be able to use Quick Books or similar. Min 3 years experience. 33.5hrs per week. The Greyhound Trust National Support Centre is offering a fantastic opportunity for a talented individual to join us as one of our Operations and Development Coordinators. This is an exciting new role, pivotal to the growth of the organisation, therefore right at the heart of developing new ways of working; this role is essential to the success of Branch homing operations. Customer Assistant – Tesco Phone Shop, Horley. More info can be found on the Tesco Careers Website. For more info please contact the People Operations Team who will be more than happy to help you – 01737 365 880 – or Download PDF with more info. Visit the Children’s Trust website. We are currently looking for Mission Control Crew (Receptionist) for our YOTELAIR at Gatwick Airport, this will be a full time position. We use a lot of airline terminology throughout our brand so to explain a little – our Mission Control crew act as a multi-tasking, guest facing team that deal with anything our guests might need to have a first-class experience. Mission Control is the hub of all activity at our hotels and the equivalent of a traditional hotel’s reception – but so much more! • You have a passion for providing good customer service. • You want to make a difference to the guest experience. We are looking for care workers / care assistants at our Horley branch which covers Horley, Redhill, Reigate. We have full and part time work available with flexible working patterns to suit you such as weekends, evenings and early mornings. Supporting our clients with their personal care, getting dressed, washing, bathing and toileting. 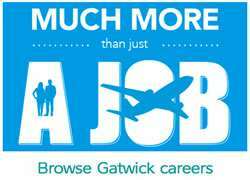 Surrey and Sussex NHS have a wide range of job vacancies. offers advice and services to help our young people find out about local colleges and job opportunities. Click here to visit the Horley Young People’s Centre page.